MFM FC recorded their fourth straight home win in the Nigeria Professional Football League as Sikiru Olatubosun scored a wonderful goal that helped MFM FC secure a 2-1 victory over Rangers at the Soccer Temple, Agege, Lagos. Opening exchange saw MFM enjoyed an early spell of possession, but Enugu Rangers grew into the game with time. Both sides were in desperate search of the opening goal but it was MFM who eventually broke the deadlock. Sikiru Olatunbosun opened the score for MFM on the half hour mark, at the 30th minute to be precise, when Olatunbosun lashed onto the ball and let fly a stunning screamer of a shot which sailed into the net to the amazement of the stadium crowd. Puyaka-yaka-yaka!!! Ho ho ho ho! What a goal that was! World-class! Although, Rangers finished the first half strongly in search of an equaliser. 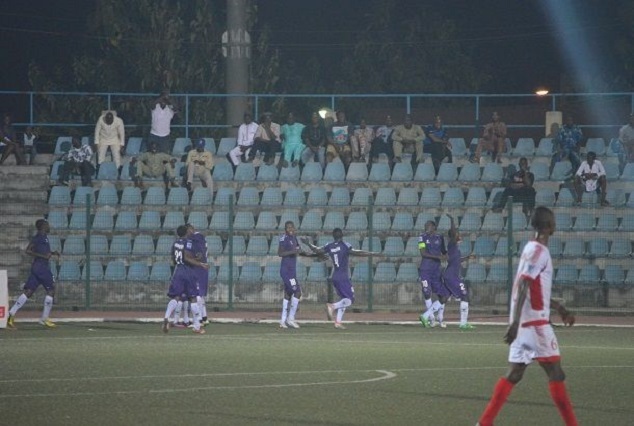 But after the break, MFM pushed forward with purpose in a bid to get the second goal. And in the 60th minute, their purposeful play paid off when Stephen Odey capitalised on Rangers poor defending to double MFM lead. That was his 6th goal of the season. In the 81st minute, Bobby Clement pulled a goal back for Rangers with a beautiful finish, and the stage was set for a fiercely contested final 10 minutes. The goal galvanised Rangers to push for a leveller, but the Olukoya Boys defended so resolutely to seal the win. What a win for MFM FC! That Sikiru Olatunbosun’s goal would certainly contest for the goal of the season.